Passive: Grants 10 / 14 / 18 / 22 / 26 % increased movement speed until struck by a champion or turret. The passive is restored 5 seconds (static cooldown) after last being struck by a champion or turret. 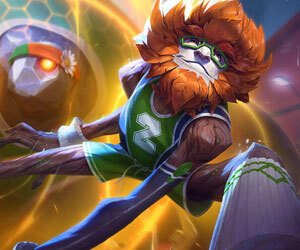 Active: For 3 seconds, Teemo gains double his passive movement speed and will not lose it even if he is hit. Gotta love the quick get aways.